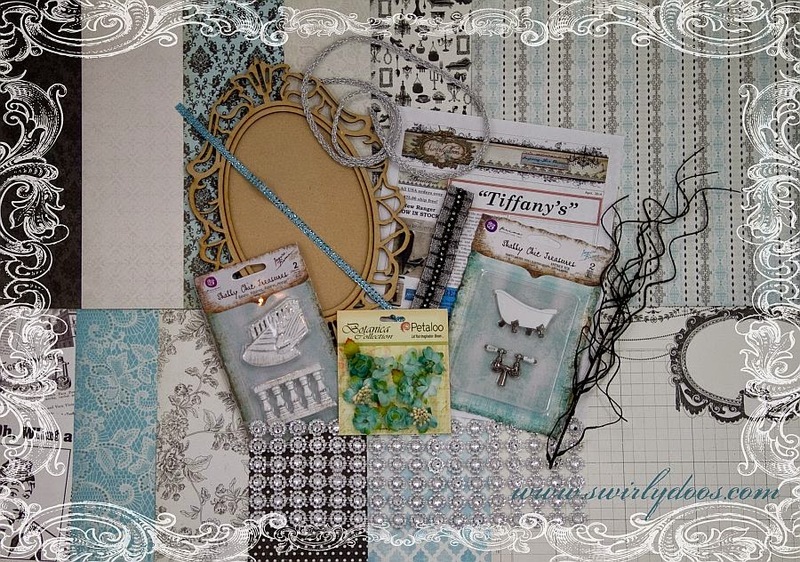 lifetime of pages: Swirlydoo's April Kit Reveal and Blog Hop!! Swirlydoo's April Kit Reveal and Blog Hop!! April Scrapbook Kit Reveal & Blog Hop! If you came here from Die-Namites 's blog, then you are on the right track. If not, go back to Swirlydoos' blog and start from there. We have some amazing projects for you to see today !! Make sure to leave a comment on all of the blogs for a chance to win!!! Make sure you have LIKED & FOLLOWED Swirlydoos on Facebook!!! And check out these coordinating add ons that perfectly compliment our April scrapbook kit! Are you a subscriber? If so, your kit is on it's way! If not, check out the Swirlydoos store to see if there are any April kits or add ons in the store! As you can see I rotated it and,well, it kind of grew from there! It's a Clean and Simple page because I really wanted to keep the focus on the picture. Even though the Kit is Tiffany blue it works perfectly for boys too! My last page is a monochromatic page featuring my daughter and her return to her natural curls. Her room is actually Tiffany blue as you can see in the background. I am in love with these elegant colors! This Dusty Attic chippie was first inked with Smooch in Moonlight. 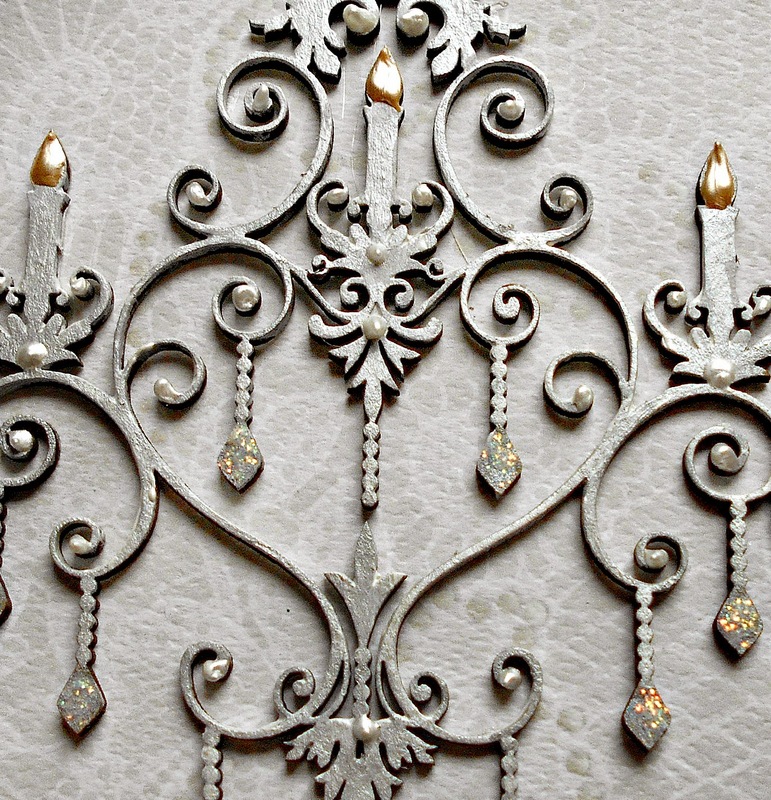 The diamonds are (what else) Diamond Stickles and the flames are Perfect Pearl in Bisque. I added perfect pearls in white opal as accent pieces. So, let's get started! Make sure to leave a comment on all of the blogs for a chance to win!!! You have until midnight, eastern time, on Sunday 4/13 to complete the hop. Winners will be announced on the Swirlydoos Blog on Monday 4/14. The party continues over at Rae's blog. Have fun! Fantastic pages, Tracey! I just love what you've done with this kit! Swooning! Each of these has so much drama! Love what you did with this gorgeous kit! Tracey so glad I follow you. Your work is always sunning! Gorgeous pages and your chippies chandelier just darling! Love that chandelier! What great projects. This kit is something else! This is a real stunner. Sweet pages filled with fabulous patterned paper and the gorgeous flowers. Beautiful layouts. Love all of the blues. The chandelier is so pretty. thanks for sharing. Wow Tracey, I so love these pages!!! Awesome job with this month's kit. Thank You Tracey for the beautiful layouts. 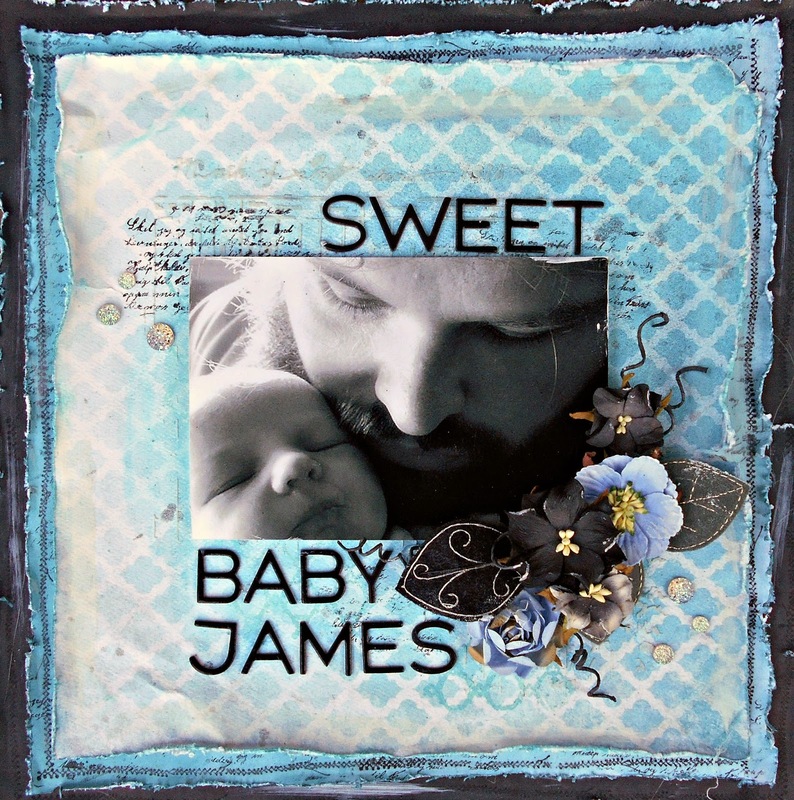 I love the baby layout. It's clean and simple as you said but I keep going back to it. Wonderful job! 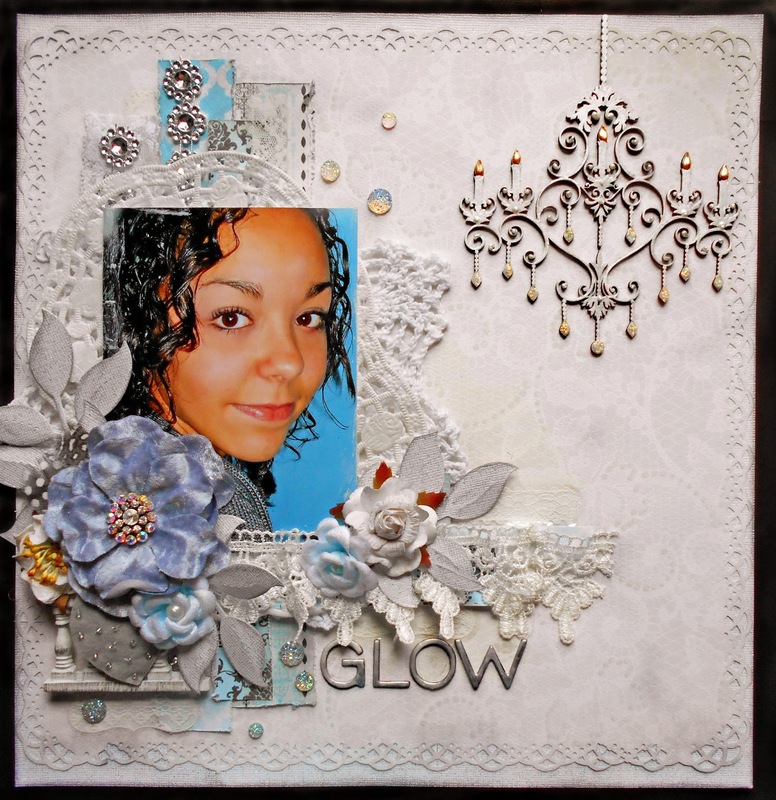 Gorgeous LO's with this kit, Tracey! Love your interpretation of the sketch and your chandelier is so elegant looking! Love your sketch layout. All your misting, bling and layering is perfection! I just love this kit. very awesome pictures and layouts, just beautiful. what amazing creations. Such elegant layouts! Simply divine! Wow, beautiful work....glow is breathe taking. 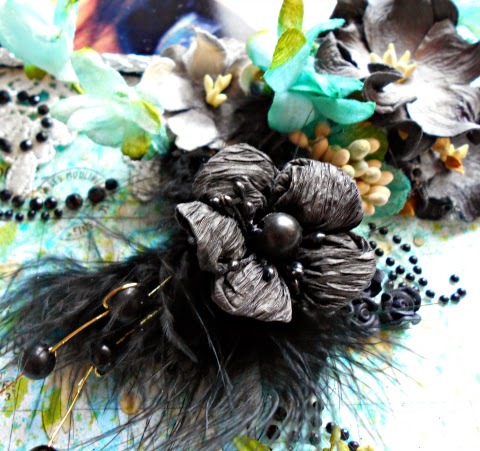 Each of these is gorgeous, love the black flowers and your chandelier is awesome! Gorgeous creations, especially that final stunningly beautiful layout of your daughter. What a perfect picture to go with the beautiful colours of this kit. Gorgeous projects, Tracey. Thanks for the inspiration! Beautiful detail on your layouts. So fun to look at. Absolutely stunning work! I LOVE what you did with that chandelier! Beautiful! Amazing! They all shine but your Glow layout is just perfect. Beautiful page. I'm always amazed with your talent Tracey! The pages are just incredibly gorgeous. Love how you have used the kit, thanks for inspiring me. Beautiful layouts and love the yellow splatters. Beautiful shades of tiffany blue. The picture of father and son is shows so much love. You do beautiful work. Love how you have used all the different elements of the kit. Great work. I liked that you added tiny bits of accent colors to break up the blue and black. Love the chandelier. Beautiful pages! I love all the details you put in the pages! lovely pages! Great idea on the chandelier! YOUR creations are always impossibly lovely. I was impressed with your flowers. Of course the hint of feathers just make it. 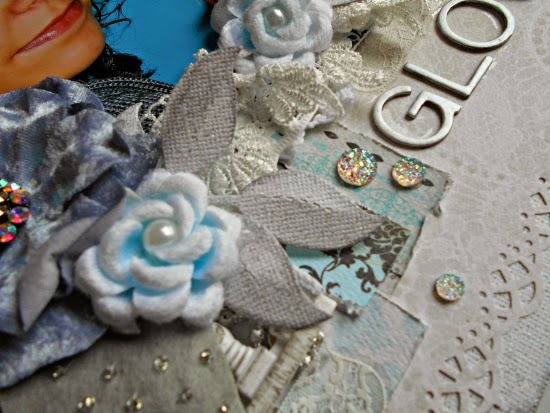 Wow, you are the queen of embellishment! Gorgeous. The layouts are beautiful. Your daughter is lovely. You must be a proud mom. Such lovely creations from you this month. 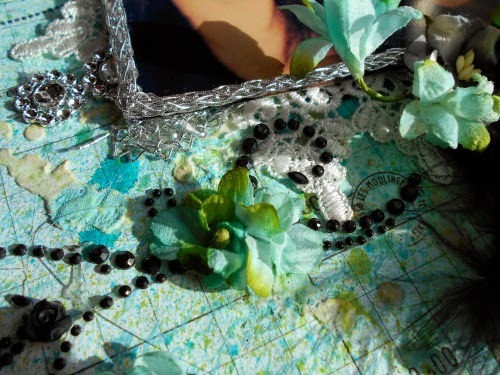 I love how you incorporate lace and how you alter your chippies. The monocromatic l/o is amazing! Gorgeous pages, Tracey!!! I love your inking, I love your embellie clusters, I LOVE your chippie fun!!!! My fav? Has to be the middle page, with that beyond sweet b&w photo!!!! I am with you on the beautiful colours! and your daughter has great taste in wall colour! 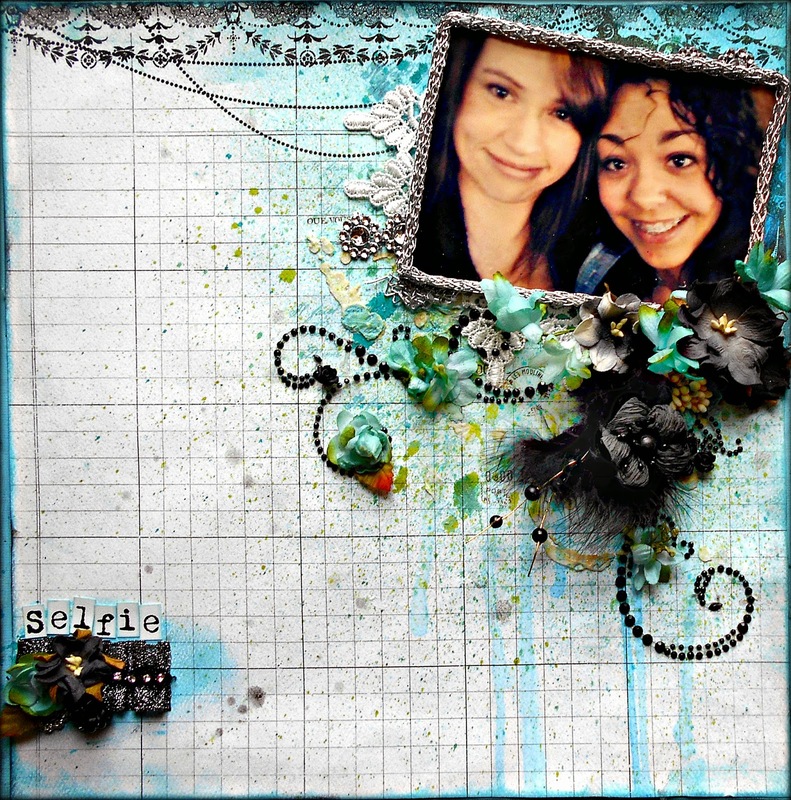 I really like what you used to frame the photo in your 1st layout. Stunning layouts! 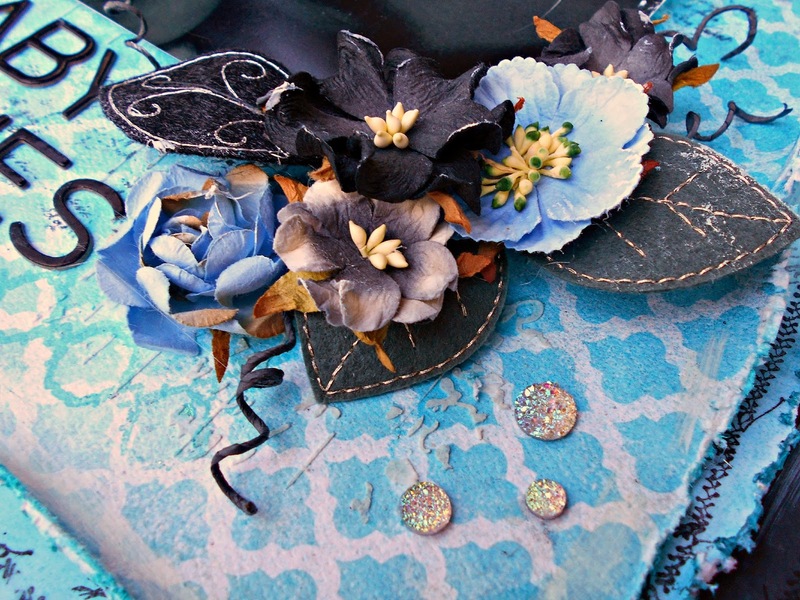 I love the colors, flowers and embellishments. Thanks for the inspiration. Awesome way to spotlight awesome pics...thanks for the inspiration. Beautiful layouts! Love the Stickles you've added. Now I think I know what to do with the sketch. Thank you for the inspiration. Hi Tracey! Just stopping by to say "hi" and to tell you just how much I absolutely love every page that you just posted. Your work is amazing and simply beautiful. And so full of love, too!